Where did the prosecution go wrong? A law professor at UCLA Law School, Peter Arenella was a legal consultant to ABC News during the Simpson trial. In this interview, he disputes the prevailing opinion that the jurors' race influenced their decision and takes the media to task for encouraging the public's rush to judgment after the verdict. "[The jury] isn't supposed to do what the public wants. They're supposed to reach a verdict based only on the evidence before them," says Arenella. "That's what the Simpson jury did, and they were absolutely crucified for [it.]" He also criticizes the way the media discussed the role of race in the trial, and summarizes the overall negative affect the media had on the criminal justice system, saying it turned the process into a "Roman circus" for "mass entertainment" where the audience acted as the "thirteenth juror." This interview was conducted on April 1, 2005. What is the legacy of the O.J. Simpson trial? Is there a legacy? Well, many aspects of our present coverage of high-profile trials are very much a product of the O.J. Simpson case. The way in which criminalists do their work has been changed and altered as a result of the O.J. Simpson case. The way the media covers high-profile trials reflects lessons learned or lessons not learned in the O.J. Simpson case. Most importantly, the system got a huge black eye. The system was delegitimated by the public's reaction to the verdict and the public's reaction to the jury, and I don't think we've recovered from it. How did it delegitimize the system? Tragically, instead of looking at the trial process and seeing how an adversarial trial can work where each side has equal resources, most of the public focused on the not-guilty verdict, [saw] a jury-nullification explanation for the jury verdict, and concluded that there was something very wrong about our criminal justice system if an obvious murderer could be acquitted for the wrong reasons. Why did most of the public view the verdict in that light? What do you think actually happened inside the jury deliberation? And yet the police lied about their motivation for a warrantless entry on to Mr. Simpson's property, and they stuck with that lie throughout the trial. So when you have police officers who are lying on the stand, thinking they need to [invoke] Fourth Amendment purposes, and then their stories have to conform with their initial lies, you have a credibility problem. And the jurors correctly saw that some of the police were not testifying honestly. That meant, unfortunately, that when police officers and criminalists and others were presenting perhaps quite reliable evidence, physical evidence of guilt, it was easy for jurors to dismiss the probative significance of some of that evidence because they didn't trust the messenger. Do you think Simpson was really guilty? I think that the media framed the discourse about the trial from the very beginning, from its inception, as basically raising two questions: Either the police framed an innocent man and acted corruptly, or the police did everything right and O.J. Simpson was obviously guilty of murder. There was a third option, which I tried to suggest from the very beginning, which is more nuanced: that the police perhaps mishandled some evidence; there might have been some incompetence; there might have been some corruption; there certainly was police perjury on the stand. But that didn't necessarily mean that there wasn't some reliable, physical evidence of Mr. Simpson's guilt. No, I don't blame the jury at all. I think that the average juror wants to know why someone would take a human life, especially in a case like this, where you have a well-known celebrity defendant that was if not respected, certainly looked at with some sense of affection by many segments of the community prior to this trial. Well, they went wrong from the very beginning of the case in terms of how they handled the initial decision to charge Mr. Simpson. There was no reason for the prosecution to rush to a trial. They could have started a grand jury investigation and then carefully got all their ducks in a row that looked at not only the physical evidence, but other evidence that could have been gathered. Evidence that was gathered for the subsequent civil trial could have been gathered in a reliable timely fashion for the criminal prosecution. The problem once again was Mr. Simpson's celebrity status. His celebrity status explains why he wasn't arrested very early on in the case when the average defendant, given the blood evidence, would have been arrested immediately. Conversely, the average defendant might have been interrogated far more effectively by police officers after the arrest. Mr. Simpson waived his right to counsel, and the detectives handled him not like a criminal suspect, but like a celebrity. So this case went sour from its inception. From its very beginning, the prosecution simply botched it. Why was the public so angry with how this case was handled? The case became a metaphor for race relations in this country, primarily because the media itself generated that perspective before the trial ever started. Months before the trial, a New Yorker article talked about how the defense was going to play the "race card" and attack prosecution witnesses and police officers as racist. But the message was that this was a totally inappropriate thing for the defense to do; that this was all about jury nullification. The media didn't educate the public about the possibility that race could play very different nuanced roles in the case; that the racial composition of the jury might aid the jurors in making credibility judgments about the believability of witnesses. The media didn't educate the public about the possibility that race could do anything but play a negative role in the case. ... Race played a very complicated role in this case. On the one hand, the experience of African American jurors aided them in seeing through the lies of Detective Mark Fuhrman and Detective [Philip] Vannatter before the white media ever figured out that the witnesses were lying. That was positive. Perhaps because of their experience with police officers, African American jurors had a lower evidentiary threshold for believability in police conspiracy theories. Perhaps that's a negative. The point simply is that race played a nuanced role. That's not how the media described it. How did the media discuss the role of race in the trial? It's unfortunate when the media, instead of educating the public about a very complicated issue, simply repeats the public's own conventional wisdom and ignorance. What the media did in the O.J. Simpson case is it simply reflected back onto the white majority, what the white majority already believed. Public opinion polls made it quite clear that most white Americans believed Simpson was obviously guilty before the trial ever started. Most white Americans feared that the defense would do something unethical and use racism to get a black jury -- a predominantly African American jury -- to acquit an obviously guilty defendant. That was the frame of public discourse before the trial ever started. Everything was fit into that frame in terms of how the media covered the trial. So what role did race play in the jury's deliberations? Can you give me an example of how a juror's race could help his or her understanding of the facts of the case? A classic example of how race improved the jury's deliberations about the credibility of witnesses occurred during F. Lee Bailey's cross-examination of Mark Fuhrman, when Mr. Fuhrman testified for the prosecution. Bailey's cross-examination of Mark Fuhrman asked several critical questions, whose answers led the African American jurors to appreciate long before white America that Fuhrman was lying about his racist past. So white America and black America saw that piece of evidence very differently? White America's reaction to F. Lee Bailey's cross-examination of Mark Fuhrman was "Where's the beef?" Big letdown. He hadn't touched his credibility. 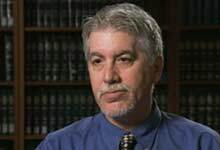 Yet in the courtroom, if one was looking at the African American jurors' reactions to some of Mr. Fuhrman's questions and answers to Bailey's questions, one saw that African American jurors had already concluded that Mark Fuhrman was lying on the stand and was a racist by his different answers. For white America and for the one white juror on the jury panel, it took the tapes to demonstrate Fuhrman's racism, but Bailey's cross-examination was effective at the very moment it was made for those African American jurors. His questions, Fuhrman's answers, led the jurors to believe he was lying long before the tapes were presented in evidence. What was the defense's strategy? The defense essentially was, you can't trust the messenger because the messenger has lied to you, and that means that you really can't trust the message they're presenting to you. So if you have police officers that are lying to you, that aren't testifying to you truthfully, there's no reason for you to believe that all of the physical evidence that they've collected and presented is as reliable as they suggest. There's reason for you to fear incompetence and worse: corruption of the physical evidence. And you certainly can't trust the story they're telling about Mr. Simpson. I think the prosecution frankly played into the defense's hands. They went to trial before they were ready, before all the physical evidence had been collected. They went to trial, and they started the trial with not the physical evidence linking Simpson to the murders, but with a story of domestic violence going back to 1989. To start a trial on murder that shows not how Mr. Simpson did the murder but suggested why he might be motivated to do the murder, to start the trial that way is to start the trial with character assassination. Now, if it works, terrific, but the story of domestic violence didn't work. It didn't strip Mr. Simpson of his legitimacy in the eyes of the jury. It made the prosecution look bad. What was the public's perception of the defense's strategy? Tragically, the American public doesn't seem to understand the role of the criminal defense counsel. Even my first-year students ask me frequently, "How can you as a criminal defense attorney ... represent a guilty person in good conscience?" The point of an adversarial system is for the defense to force the prosecution to persuade a jury beyond a reasonable doubt of the defendant's guilt. And a defense counsel's ethical role is to make the prosecution satisfy that burden of proof by challenging the credibility and persuasiveness of the prosecution's evidence. Defense counsel can't knowingly put on perjured testimony, but to challenge the credibility of prosecution witnesses, including showing that a prosecution witness might have racist attitudes, is within the defense counsel's role. One of the sad ironies of this case is that one of the defense lawyers, Robert Shapiro, after the acquittal, had the audacity to say that he needed to distance himself from the verdict and the process because Johnnie Cochran had played the race card from the bottom of the deck. And that was just itself an example of how even a defense lawyer was legitimating this misconception of the defense counsel and the defense acting unethically, when in fact they did a terrific job in that trial of forcing the prosecution to match its burden. What impact did the media have on the trial? One of the ironies of the Simpson legacy is that the trial and the acquittal in the public eye showed you how bad our system functions and how racism infects our system in ways that prevent the just conviction of criminal defendants. The reality is the Simpson trial showed you an adversarial trial that actually worked, a process in which the parties could look at the evidence and fight about the credibility of witnesses on an equal footing. The public focused on the verdict; they didn't like it. But the process itself was a fair one; it was a fair adversarial trial. Why did African Americans appear so joyous when the verdict was read? First of all, I think it's an exaggeration to say all African Americans were happy with the verdict or all whites were upset with the verdict. While there was a racial divide in this country concerning the verdict, I don't think the racial divide was adequately explained by the media. There were many African Americans who were pleased that the jurors understood that police officers were lying to them, were pleased that a jury didn't trust the messenger. That doesn't mean that they were happy that a murderer was being set free. It doesn't mean they necessarily believed in Mr. Simpson's innocence. One thing the American public forgets is a trial isn't necessarily about truth. The verdict isn't "innocent"; the verdict is "not guilty." The prosecution's burden of proof is beyond a reasonable doubt. Several of the jurors explained afterwards that they suspected Mr. Simpson was guilty, but they weren't shown it beyond a reasonable doubt. That's an action and a comment of a juror that understands their responsibility and is doing their job. Tragically, the American public didn't understand that. How can you acquit if you think Mr. Simpson is guilty? And the answer is very simple: [If] the prosecution doesn't prove guilt beyond a reasonable doubt, you must acquit. That's not jury nullification; that's how our system is supposed to function. Read more about the role of truth in criminal trials in a chapter from the book Reasonable Doubts by Simpson defense attorney Alan Dershowitz. Were there any long-term effects on the criminal justice system? Well, it wasn't just a criminal trial. After all, we had, after the criminal trial, a civil trial in which Mr. Simpson was found liable. The verdict in the civil trial was used by the white majority, who were angered by the criminal trial, to say, "See? We were right, and the criminal trial jury got it wrong," when in reality the civil trial reflected an appropriate verdict based on the preponderance of the evidence. It was a totally different trial involving different information and a different burden of proof. Ten years later, has anything changed? There are good and bad things that have come from the Simpson criminal trial experience. On the good side, we have criminalists who do their jobs better. The LAPD [crime] lab and labs across the country learned valuable lessons about how not to collect evidence, about how to do their jobs in a more professional and competent fashion. ... We have defense lawyers across the country that learned valuable lessons from Barry Scheck and the defense team in how to attack the reliability of DNA evidence so that lawyers across the country went to school based on things that they saw in the Simpson trial. So there are a lot of positives that have come from the trial. But my own view is that the negatives that come from the Simpson legacy easily outweigh those positives. I think that the media's role in how it covers the criminal justice system has taken a turn for the worse, because we've really gotten to a point in this country where we see criminal trials as forms of mass entertainment. It's as if every next high-profile trial is the next Roman circus, and let's all watch and be entertained by it. So we've disconnected from the reality of what these criminal trials are supposed to be about, and instead we convert them into theaters of entertainment. We even now have actors repeating the trial the day after so that people can get more entertainment from it. Did the American public act as the so-called 13th juror in this trial? After the criminal jury's acquittal verdict was announced, I said on air, on ABC, that clearly the American public -- and I was referring to the white majority -- were acting as the 13th juror, and they were rejecting the jury's verdict. ... In fact, I was dismayed to see how much the media was encouraging the American viewing public to act as the 13th juror, when in reality they can't. They're not in the courtroom; they don't see what the jurors see. Even watching a trial on television is not the same thing as being in the courtroom. You don't see everything the jury sees. You don't see the nonverbal behavior of witnesses in the same way as you see it on a television camera. You don't see some of the photographs which showed the jurors the grisly nature, the violent nature of the murder and the jurors' reaction to it, their sense of the humanity of the victims. The whole jury-nullification story would have lost a lot of its force if the American public had been in the courtroom and seen the jurors tear up with a sense of desperation and agony when they looked at the crime-scene photos and when they looked at the surviving family members come into the courtroom every day with sympathy and compassion. The jury nullification of the acquittal wouldn't have gotten off the ground if the average American had seen that, but of course they didn't. What was this trial all about? Give us the big picture. It was an example of how television and the media can break down the wall that's supposed to be there between a courtroom and public mass opinion. A criminal trial is supposed to be conducted in a particular way with a sense of separation from the rest of the world. The jury isn't a democratically accountable decision maker. They're not supposed to reflect majority viewpoints; they're not supposed to do what the public wants. They're supposed to reach a verdict based only on the evidence before them. Can you talk more about the blurring of lines between the media and the legal system in this case? Well, [author and media critic] Neil Postman wrote a book called Amusing Ourselves to Death, and a fundamental thesis of this book is how television has just transformed our culture, mostly for the worse. And I have to say that my experience as a legal pundit working for ABC News certainly confirmed that thesis. When I look at what happened after the Simpson trial, when I look at how [prosecuting attorney] Marcia Clark became a reporter for Entertainment Tonight and [prosecuting attorney] Christopher Darden started to write mystery novels, and the blurring of the line between legal actors and people who are working in our entertainment media world, it just shows you how much that trial has transformed our culture in a variety of significant, and I think negative, ways. Criminal trials become forums for mass entertainment, and high-profile actors in these criminal trials then go on to have careers in the media, even if they have no competence, no special expertise. It really doesn't matter, because they're [now] public figures, and the viewing audience has gotten to know them and sees them as friendly, accessible people. So regardless of their expertise, they move on to this different world. But it happens in the media coverage itself, where you had The New York Times trying to keep up with the [National] Enquirer in terms of scoops about what a potential witness might say. So the line between professional, competent coverage and what's happening in the courtroom versus the desire to make a reputation as an aggressive media scoop about what might happen in the future got completely blurred. Lawyers began acting like entertainers. Legal pundits began to make predictions about how the jury might vote, ultimately, at the end of the trial -- something that wasn't appropriate or within their expertise. They're not soothsayers. They should be commenting simply on the legal machineries in a way that makes the system accessible to the viewing public. But instead, they became themselves entertainers.